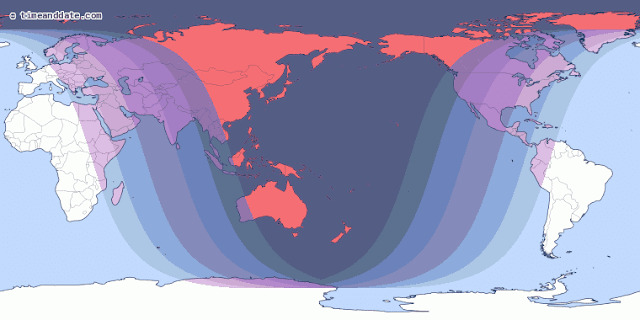 The Lunar Eclipse would be visible from Asia, most of Europe, Australia, North-East Africa, North-West South America, North America, Atlantic, the Indian Ocean, the Pacific, Arctic and Antarctica. The Total Lunar Eclipse would be visible from India, Sri Lanka, Malaysia, Indonesia and most countries of Asia continent. 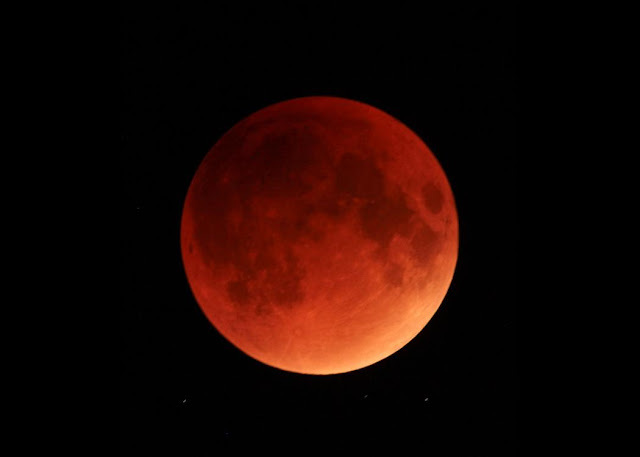 (Those whose Nakshatra the eclipse are affected , should write the following sloka in a palm leaf and tie it to their forehead. After the eclipse this palm leaf should be removed. Then they should give in charity one Ash gourd, coconut and coin to a Brahmin. Thanks for letting us know. I live in Canada and a tiny publisher, can I have your phone number? I wish to clarify certain doubts.